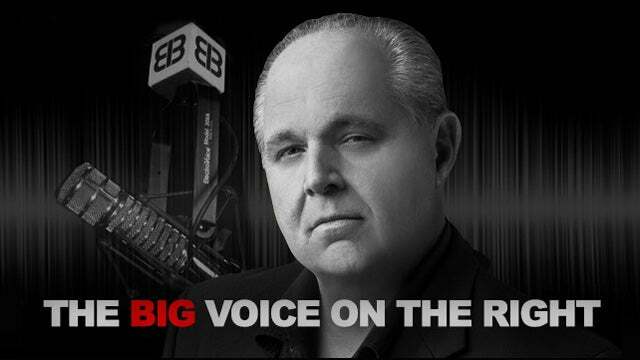 RUSH: Something else, that if the shooting hadn’t happened today, that I would have led with today. There’s a great piece at The Federalist today by Lee Smith. I’ve got some pull quotes from it. But the primary point of his piece is, why isn’t the media covering the exculpatory things that have been uncovered about the Steele dossier and Trump’s supposed collusion with Russia? Why aren’t they reporting it? Why aren’t they reporting that it was Hillary Clinton opposition research? Everybody thinks they’re not reporting it because it’s liberal bias. In Smith’s view, that’s not the reason. It’s something far worse. Everything that we have learned, that Steele has been lying to the FBI and talking to the media, that Steele never went to Russia to talk to his sources, that FBI never talked to Steele’s sources, that this dossier was nothing more than a political opposition document paid for by Hillary Clinton with a couple of cutouts, the mainstream media is not reporting it, as I’ve pointed out over and over again. People that watch CNN, MSNBC, read the New York Times, Washington Post do not know what I’m talking about here because they have never heard this. Why? Lee Smith’s opinion is not that it’s bias. It is that the media was used to further this conspiracy, that the media conspired with Hillary, the media conspired with the FBI, the media conspired with the intelligence community to report and push this fake news. And he cites evidence. It’s a long piece. We will link to it at RushLimbaugh.com so you can read it quickly yourself. But it’s right on the money. The reason the media can’t report this is because they made it all happen. They were coconspirators in the effort to bring down Trump. They were not innocent bystanders simply reporting what was leaked to them. Now, you might think, “Rush, we’ve known this all along.” Making myself perhaps not as clear as I should. It’s not that they were happy to accept leaks and publish the leaks. It is that they were actually conspiring with the Clinton campaign, the DOJ, under Obama and the FBI to run lies, to publish lies. And he names the names of prominent journalists at the Washington Post, the New York Times, and Slate.com who did this, and he cites the examples of their stories and the headlines. He says they were willing participants. They were active co-conspirators, and, as such, they can’t report on this because it would require them to report on their role in it. I mean, the piece is comprehensive as it can be. It’s entitled, “The Media Stopped Reporting The Russia Collusion Story Because They Helped Create It.” I’ll just share with you some salient paragraphs here to whet your appetite about this. There is a theory that’s been bandied about that one of the reasons journalism is in such trouble is the internet, and the internet has led to the rise of a bunch of young, inexperienced journalists — bloggers and so forth — who simply haven’t lived long enough. They don’t have enough life experience, historical experience to bring a full-fledged context to any story and that they have blown it up and have caused major problems in the image and perception of journalism at large. Near the end of this piece, Lee Smith writes, “This Isn’t the 27-Year-Olds’ Fault. I’ve argued over the last year that the phony collusion narrative,” Trump colluding with Putin to steal the election, “is a symptom of the structural problems with the press. I’m so happy to see somebody else use the word “hoax” to describe this! He goes on to say that that the media, gigantic media figures — New York Times, Washington Post — colluded with Steele, colluded with Hillary. They conspired. They created this false narrative. They created the hoax. The media joined at the hip with Hillary and Steele and the DOJ and the FBI and the intelligence community. “That’s why, after a year of thousands of furious allegations, all of which concerning Trump are unsubstantiated, the press will not report the real scandal, in which it plays a leading role. “When the reckoning comes, Russiagate is likely to be seen not as a symptom of the collapse of the American press, but as one of the causes for it.” Well, that’s the conclusion. What comes before is examples, excerpts, documentation of the press — and he names the names — who actually conspired to push a hoax, a story that they knew was not true, all for the express purpose of getting Donald Trump. That’s why they can’t report on the story now. They can’t report on how it’s blowing up, because they are the reason. Another excerpt: “Now Russiagate was no longer part of a political campaign directed at Trump, it was a disinformation operation pointed at the American public,” and this is the real point here. The hoax has been on the American public. Now Russiagate was no longer part of a political campaign directed at Trump, it was a disinformation operation pointed at the American public, as the pre-election media offensive resonated more fully with the dossier now in the open. “You see, said the press: everything we published about Trump and Putin is really true — there’s a document proving it,” the dossier. “What the press corps neglected to add is that they’d been reporting talking points from the same opposition research since before the election, and were now showcasing ‘evidence’ to prove it was all true,” and they were cycling BS. “The reason the media will not report on the scandal now unfolding before the country … is not because the press is partisan. “No, it is because the press has played an active role in the Trump-Russia collusion story since its inception. It helped birth it.” Now, you might say, “Rush, that’s no big deal. We all knew that.” Yeah. Okay. Some of us might have suspected. I mean, we knew what the media was up to. But this piece accuses actual collusion, not a bunch of like-minded people on the sidelines who happened to simply report what the Clintons wanted to report because they were on the same wavelength. This was active, participatory conspiring to knowingly lie to the American people before the election and after.